You wouldn’t sue the rain for getting your socks wet, or your dog for enthusiastically licking your face when you get home from work in the evening. Because while both of those things are kind of gross, they’re also simply the nature of the beast (or precipitation, as the case may be). 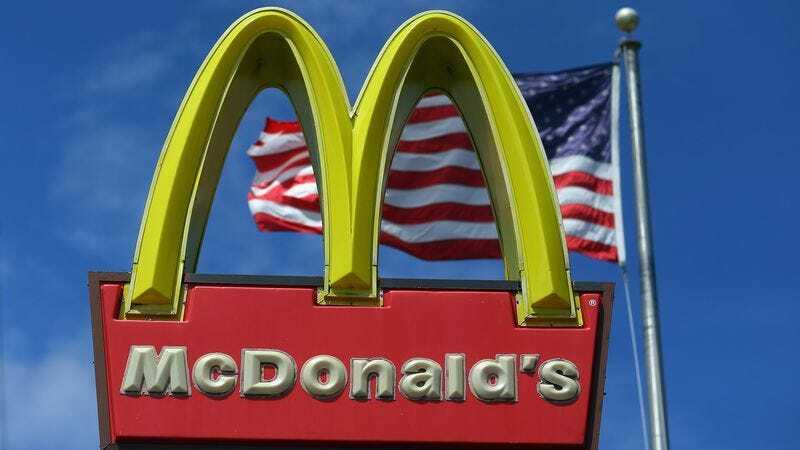 So either California resident Chris Howe is either a precious angel with the naiveté and trusting innocence of a newborn lamb, or he’s just looking to get paid: He’s suing McDonald’s for the very McDonald’s-like act of adding starch to the cheese in its mozzarella cheese sticks. Howe—who says he would not have purchased the foodstuffs in question “if he had known they were misbranded and adulterated,” as if McDonald’s were an unfaithful lover—is suing the company for $5 million in damages, plus the $1.27 he spent on the order of fraudulent cheese sticks.